YESSS I find quizzes so satisfying too, especially the Pottermore ones as I love Harry Potter! I'm a Slytherin/Pukwudgie/black and white cat and my wand is unicorn hair too! I love quizzes like that too!! Especially when I get an answer I can relate too and feels legit! 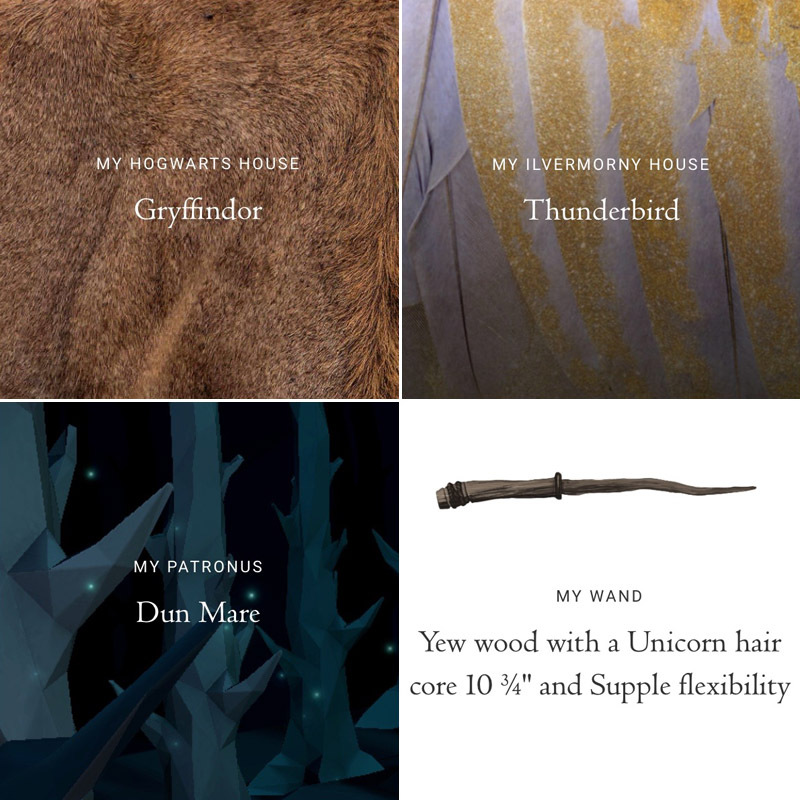 I got mink for my Patronus (weasel family apparently, haha), and Pukwudgie for my Ilvermorny house (though I need to read up on that as I'm not completely up to date on the North American stuff). I was a bit disappointed to see I was a Slytherin but I guess not everyone can be Gryffindor! I haven't taken all these quizzes yet but found out my Patronus is a weasel . . . not sure how I feel about that one! I'm so with you about finding it so gratifying to take quizzes and see what the results say about me. I still have a few more quizzes to take but I'm trying to space it out because I know I'll be disappointed when I have none left! 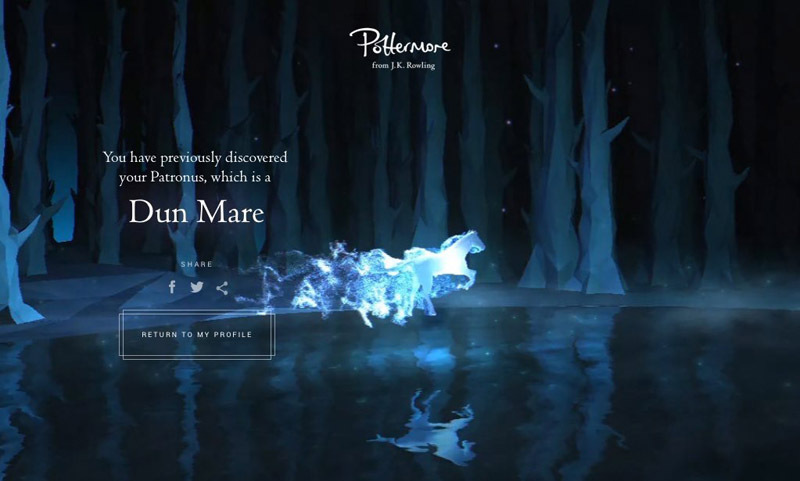 Mr Weasley's patronus is a weasel I think, so you're in good company there!